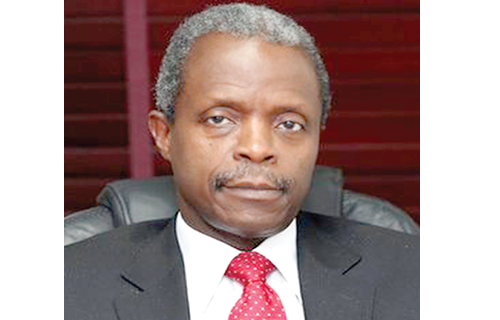 Vice President Prof. Yemi Osinbajo yesterday disclosed that the Federal Government requires not less than $1 trillion investment to modernize Nigeria’s energy infrastructure. Osinbajo stated this at the opening of the National Energy and Climate Change summit at the Presidential Villa, Abuja. He said the administration was making tremendous efforts to attract both domestic and foreign-direct investment into the energy sector. According to him, the nation’s energy and energyrelated policies were not only geared towards energy supply security, but to also mitigate global warming. The vice president, who was represented by the Minister of Science and Technology, Dr. Ogbonnaya Onu, commended the Energy Commission of Nigeria (ECN) and the Federal Ministry of Science and Technology for organizing the summit. He said the government has increased transparency and openness in governance to support private investment and growth in the country. He said: “…Following this, a study of the Energy Investment Risk Assessment (EIRA) for Nigeria has been completed; the report, which has just been presented to us. I am happy that the assessment, which featured four performance indicators, has scored our energy investment risks as moderate. Bow Wow is sending a huge message to kids and young people on the reasons they should stay away from drugs. Barcelona came from behind to defeat Real Madrid in tonight's El Clasico.